Stark, but stunning, barren, yet crammed with wildlife: Nunavut is as wild and remote as it gets. If getting away from it all is your aim, you’ve come to the right place. 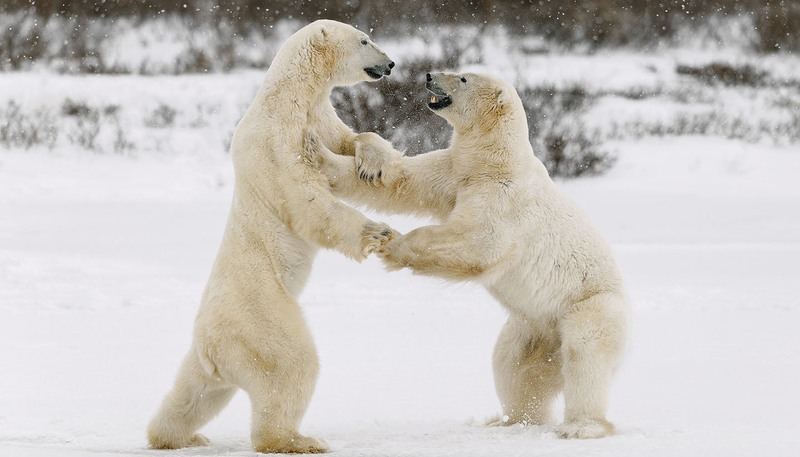 You’re more likely to see a plodding polar bear or a bouncing beluga whale than another human being. Canada’s youngest territory makes up a fifth of Canada, but is home to less than 0.1% of its population. You have to be pretty determined to get here though, as there are no roads either to Nunavut or between the territory’s communities. A platinum credit card and a wealthy benefactor can go a long way to funding the eye-wateringly expensive airfares. But make it here and you’re rewarded with unfathomable wilderness and not a coach tour in sight. You can hike or ski among granite peaks, gigantic glaciers and mammoth fjords on Baffin Island. Or dodge herds of muskoxen and packs of Arctic wolves on Ellesmere Island, where a smattering of hardy flora makes a colourful splash on the otherwise barren scenery. Pitch your tent on the open tundra beneath a sun that never sets or brave Nunavut’s frigid temperatures and spend a night in a winter igloo. At the floe edge or sinaaq, a veritable Noah’s ark of Arctic wildlife gathers in the spring: polar bears, walruses, narwhals and beluga whales for starters. The northeastern coastline of Baffin Island is considered one of the world’s best places to spot a steady conveyor belt of 10,000-year-old icebergs drifting past. As the ice breaks up, grab a kayak and explore the magnificent Arctic Archipelago shoreline, or canoe along an astonishing number of inland rivers and lakes. If the airfare home is too high, you always have your oars. 2,093,190 sq km (808,185 sq miles). Nunavut's sparsely populated and untouched Arctic wilderness is best visited as part of a package tour or in the company of an experienced guide. Individual travellers should note that they are likely to be exposed to a number of hazards, including severe cold, reduced hours of daylight and potentially aggressive wildlife, including bears. Before setting out on individual trips, travellers should contact Nunavut Tourism for advice (see Tourist Information).